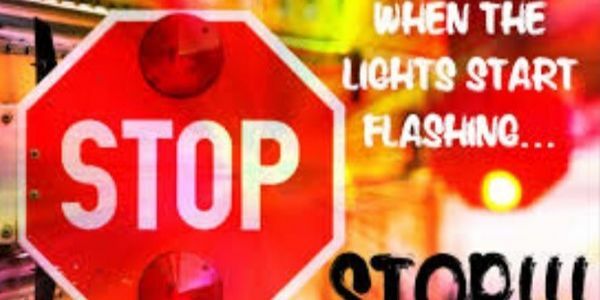 petition: BRING POLICE AWARENESS TO PEOPLE IGNORING SCHOOL BUS LIGHTS!! BRING POLICE AWARENESS TO PEOPLE IGNORING SCHOOL BUS LIGHTS!! This is not a new issue, however, it is becoming an increasing problem and a serious safety issue. More and more people have been caught blatantly ignoring the red lights and stop signs on public school buses. More and more videos are surfacing showing vehicles putting our children in danger by driving around from behind school buses or driving past school buses who are stopped and have their red loghts and stop signs displayed. EVERYONE on the road knows when a school bus is stopped and those red lights are flashing that there are children getting on or off of that bus....EVERYONE!! There have been too many stories already this year about children being hit by people who refuse to comply with the rules of the road and have hit a child getting on or off a public school bus and it needs to stop!! Sign this petition and let the Police know that this needs immediate attention and that our children’s safety is not something to be disregarded!! People who choose to drive by a school bus with flashing lights displayed are consciously making the decision to potentially put a child’s life in danger and these people need to be held accountable for what they do! !